Just finished this one up during the holidays. 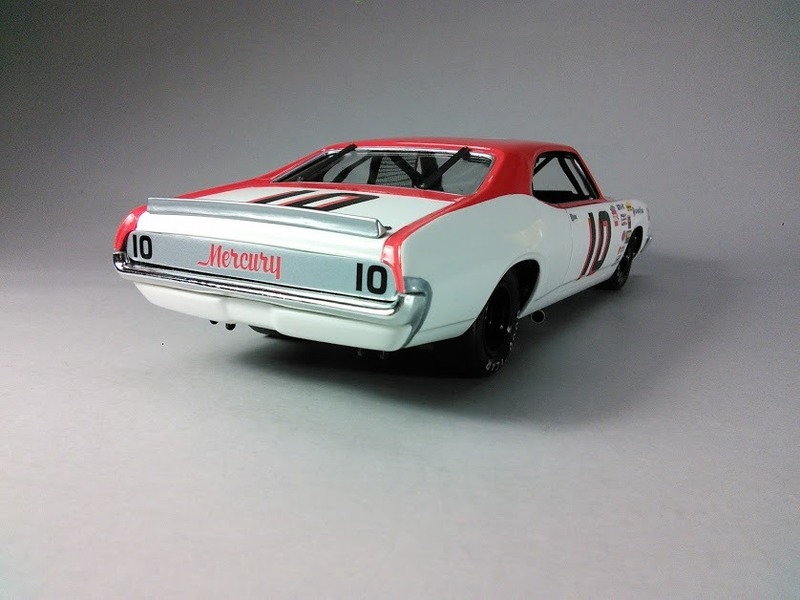 KIT: R2 re-issue of the MPC Donnie Allison Wood Bros. Mercury. 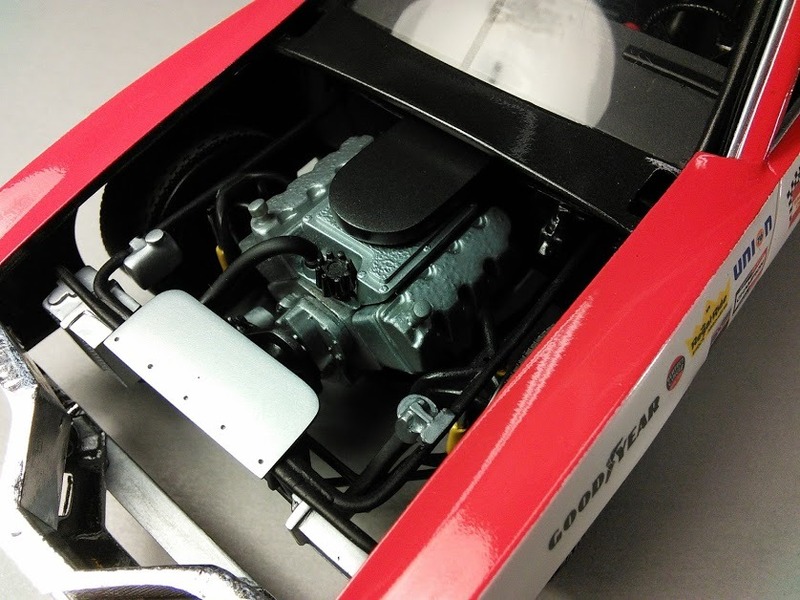 PAINT: Tamiya TS-26 Pure White and TS-49 Bright Red. 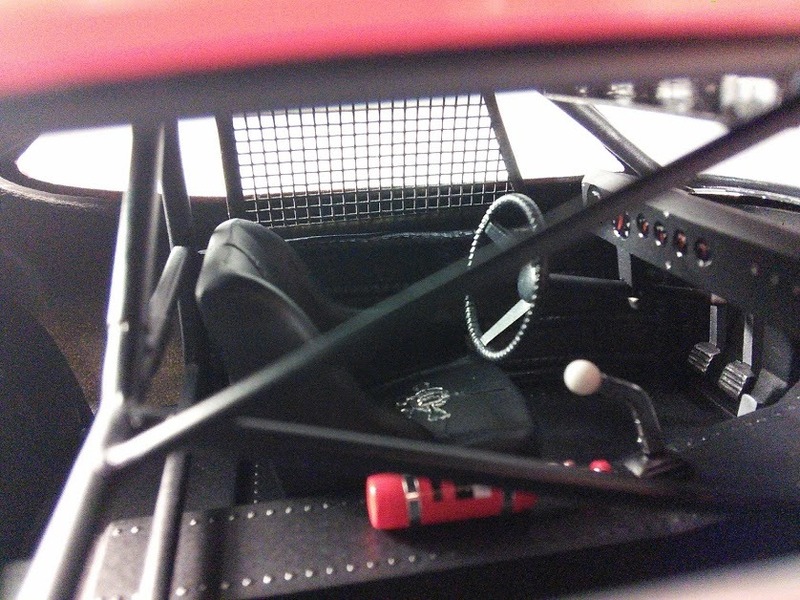 Interior is Tamiya X-1 Flat Black clear coated using Testor's Acryl Semi-Gloss Clear. DECALS: Dave Van's Penngwen sheet. Powerslide for the contingencies, hood pins, and door handle block-offs. * made my own window net using screen door screen and tape for the edging. Just a fun 2 week build. Always enjoy building these old MPC/R2 kits. 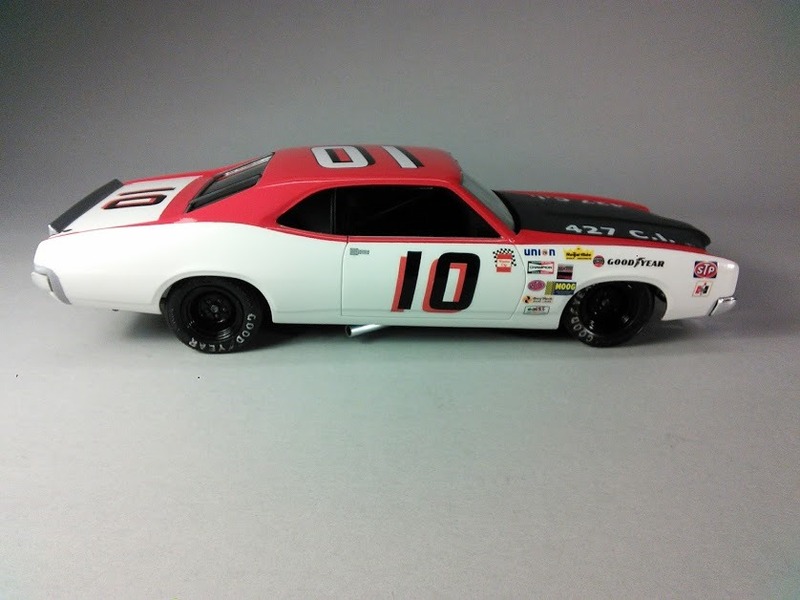 Heck, I even hand painted the "Goodyear" lettering on the kit tires! Haven't done that in years. My father was a CPO in the U.S Navy and we were stationed in Norfolk, VA. during the early '70s. 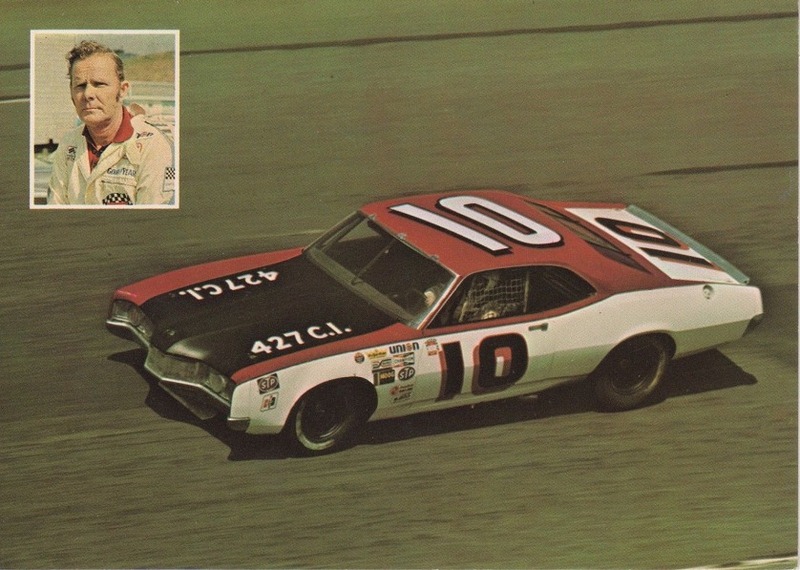 I asked my father to take me to the spring 1973 Winston Cup race at Richmond and he told me he would if we could find tickets. After finding tickets for sale in the newspaper my father took me with him when he went to buy them at a local bar. Of course he made me sit in the car while he went in and made the purchase. When dad came back with the tickets he told me the guy he bought them from told him he would be driving in the race that weekend. I don't think dad believed him. When I asked dad who it was dad said: "Some guy named Bill Champion." I explained to dad that Bill was actually a driver on the Winston Cup circuit. Dad just smiled. Great memories. I had a great time with dad at my first Winston Cup race at the old Richmond Fairgrounds Speedway. Simple build but beautifully done and detailed! And a great story to go along with it! Now that's what this form is supposed to be about! Way to go Bobby! WOW....great story......SUPER clean work, stance....perfect! Any bias aside!!! Nice clean simple build and a something to remind you of some great memories! Great work Bobby and a great story as well. Great build, great story - and extra points for lettering the MPC tires! Love it Bobby. Great job. Always a pleasure to see a new effort from you. 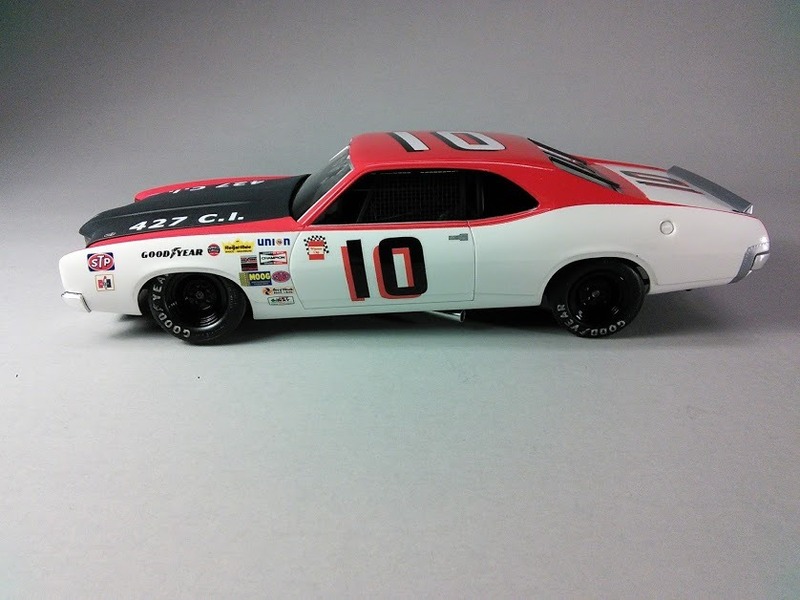 Outstanding, great looking race car! Love those Mercury's! 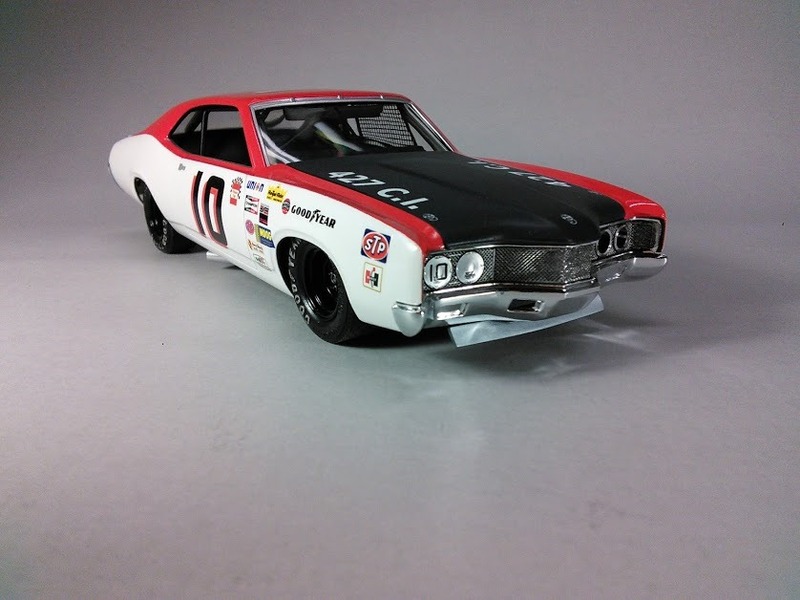 Great build, and nice memory with your dad as well!